Dr. Mauricio Dujowich (aka "Dujo") is back for another installment of "The Secret Life of Vets". In this video, Dujo reacts to the news that the interest rates for federal student loans increased on July 1, according to the AVMA. National Ag Day! 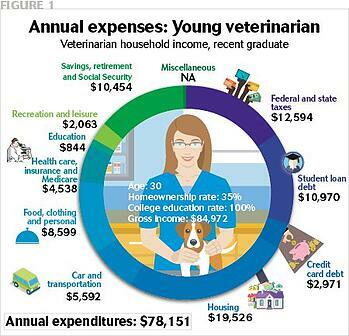 Why you should care, Vet Student. If you are like me, you probably didn't know that National Ag Day even existed. I feel a little ashamed to admit that considering my profession probably wouldn't exist if not for animals in agriculture. 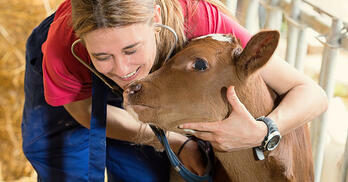 Can we quantify the true cost of veterinary student debt? 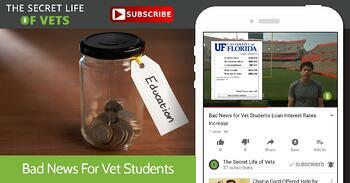 Elizabeth Johnson, Ross Knippenberg, PhD, and Mike Dicks, PhD wrote an article that appeared on DVM360.com titled "Can we quantify the true cost of veterinary student debt?". The piece talks about the the burden of paying down student debt early in their careers plays a significant role in new graduates' lifestyle satisfaction.